Effective mission statement examples can be found all over traditional and social media. Virtually every high performing business goes to great lengths to clearly define the mission of their organization, and for good reason. The leaders of these companies understand that a business with a clear mission can grow exponentially! In this section we will provide multiple examples of company mission statements so you get a clear sense of how important the process is to the executive summary section of a business plan. Every business that is above the ordinary has an inspiring mission that its leaders are called to fulfill. As stated in the previous section, the mission statement can be as short as a few words or as long as several sentences. The importance thing is that the mission statement makes very clear to your employees, customers and business partners what it is that the business stands for. 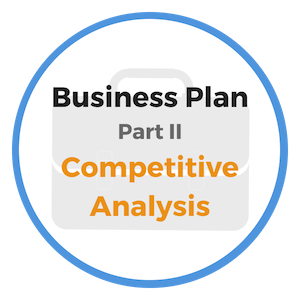 What is the driving force behind the business? In other words, the idea that you convey should be obvious to anyone reading the mission statement. There should be no doubt about what the business is working to achieve. How does our business accomplish it? Who benefits from what our business does? What value does the business bring to those it serves? The mission statement is not the same as a slogan or motto. It's okay to use a little more space when creating your mission statement to ensure you answer the important questions. Next, we'll provide some specific mission statement examples and you'll clearly see the difference between mission statements and slogans. Wal-Mart - “To save people money so they can live better.” This coincides with their slogan, "Save money, Live better." Nike - "To bring inspiration and innovation to every athlete in the world.” Of course, everyone knows Nike's famous motto, "Just do it!" Microsoft - "To empower every person and every organization on the planet to achieve more." As you can see, the length of mission statements can vary significantly. Whether you create a brief or expanded mission statement for your company is a personal choice. Just make certain that whichever way you go, the mission is clear to your audience. Review the many mission statement examples provided at the above link so you can be sure that the mission statement for your business meets the guidelines provided. 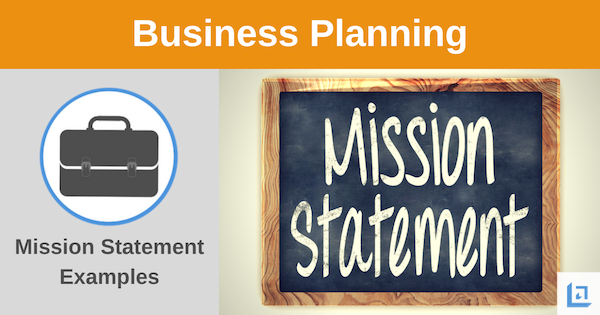 Hopefully the mission statement examples shared here has provided you with great ideas and inspiration to complete this important section of your business plan. "A man with money is no match for a man with a mission." The business person who is always extending his horizon will never find himself in a rut. People who leave their mark upon the world, who broaden and enrich the life of their community are constantly learning and growing; feeding their appetite on a whole host of subjects. The world needs men and women who continue to grow and develop, regardless of their age. Every occupation is crowded with people who have stopped growing; who spend valuable time complaining rather than searching for the next important challenge. "A successful life begins with a mission, not an intermission." The one who stops growing immediately begins to deteriorate. Not unlike a muscle that weakens when unused for any length of time, so does the human spirit. Too often, young men and women graduate from college and then never again lay foot in a classroom. This makes one wonder if they learned anything at all while they were there. The choice to cease learning makes no sense at all. Let LIFE be your classroom; continue to learn and grow; share the wealth of knowledge you receive with others. In doing so, your life will be lengthened and enriched. 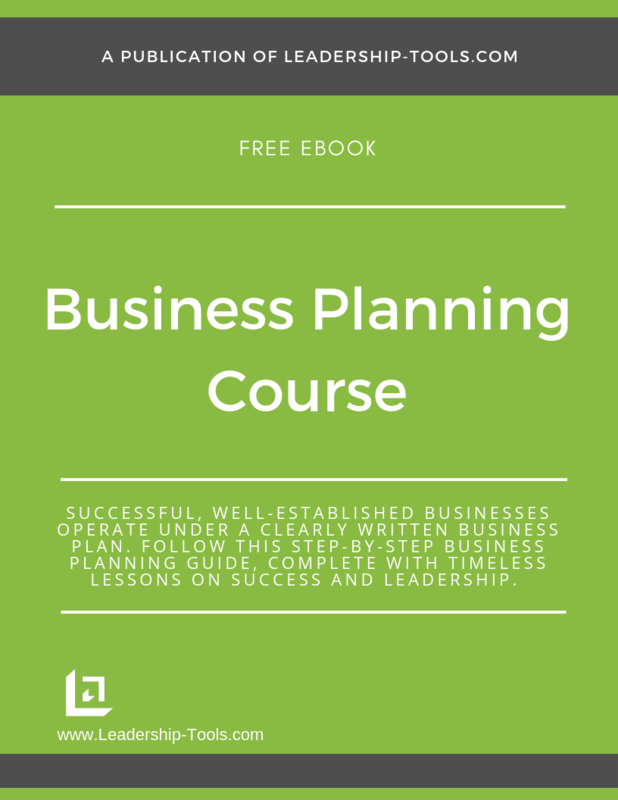 To download our free Business Planning Course/eBook, complete with mission statement examples, tools and step-by-step instructions for planning the future of your business, simply subscribe to our free newsletter. You will immediately receive a password that grants access to our entire leadership tools library.